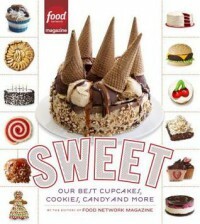 Sweet: Our Best Cupcakes, Cookies, Candy, and More - Devin Reads! This book was so awesome! I'm not one to usually review cookbooks but this one was great! Not only did the recipes look amazing, they looked super easy as well. I cannot wait to try some of them out!